This example controls the drawing of an ellipse based on the values from the potentiometer and the color is controlled by the light sensor. This example fades between two images based on the light level from the light sensor. When it’s dark it displays the night image and when there is more light it displays the daylight image. 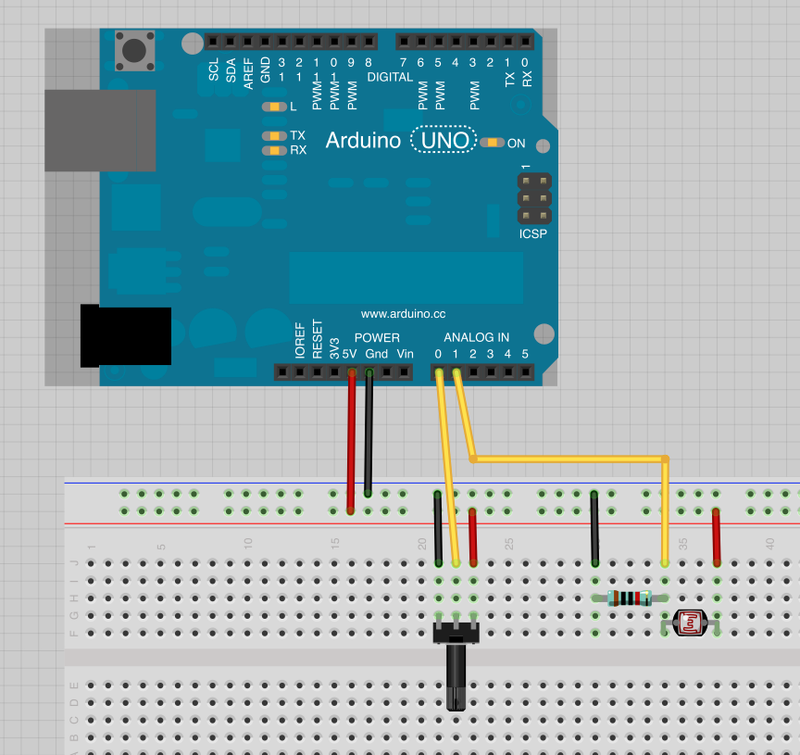 The circuit for the Arduino is same as above. Download images for this example. Make sure you install the Tweak mode for Processing in order to be able to modify your code while it’s running. All of these use the same circuit as above. Light Sensor connected to analog pin 1. The Potentiometer is not really used, but feel free to hook it up to something also in the code. This example draws shapes on the screen in a randomized way. It’s controlled with the Mouse x-coordinate. We also looked at how the for loop works and how to use it to fill arrays. 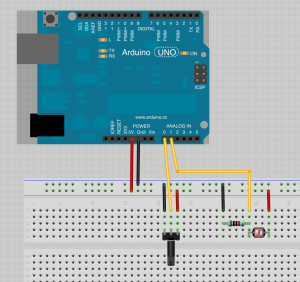 This is the same as above, but we are using a light sensor connected to the Arduino as an input. The last example was the Tree-sketch from Processing examples that we modified to use Arduino as an input. I recommend doing this a lot. Just finding interesting examples and trying out how you could make them interactive. The Tweak mode will help you a lot in this. * Renders a simple tree-like structure via recursion. * and right to change the angle.